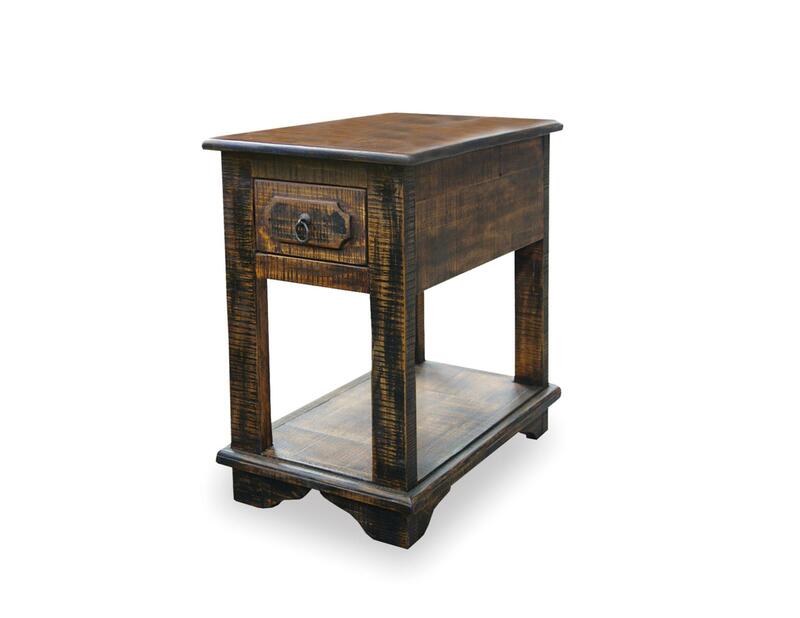 Distressed solid kiln-dried pine wood and great attention to detail make this hand-made side table a wonderful addition to your home, condo or hacienda type Mexican living room, office or bedroom. Nowadays we see lots of eclectic furnishings in living spaces. This side table is perfectly at home next to a contemporary sofa, rustic chair, industrial style sectional, or the rest of our Hacienda line. Features charming details evocative of the grand rustic and colonial haciendas of yesteryear.